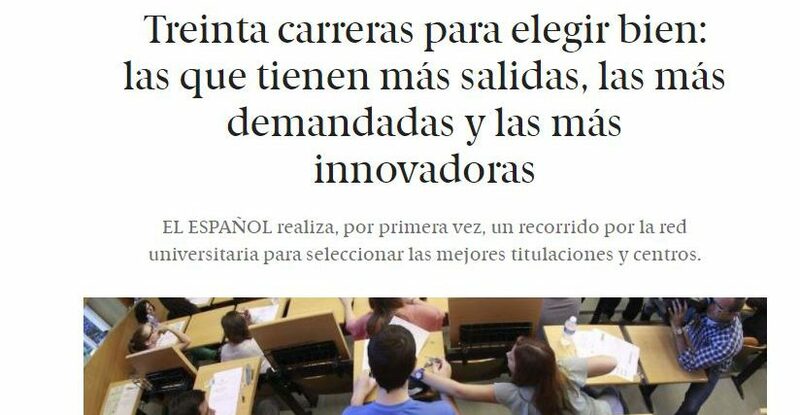 The newspaper ‘El Español’ has published its first ranking of universities offering the most innovative degrees with the greatest job outlets. The report, based on a study undertaken by Addeco ranking the degrees with most job outlets along with the five most cutting-edge universities that offer them. The ‘El Español’ ranking has highlighted the degrees in Nursing and Psychology offered by University Camilo José Cela. The ranking of the top 10 most innovative degrees and the universities offering them highlights the UCJC Bachelor’s Degree in Business and Technology and the Bachelor’s Degree in Urban Management, in addition to the Official University Bachelor’s Degree in Video Game Design and Development.